Content Marketing versus Content Production. It may go without saying that you can’t have one without the other, but it’s worth a discussion to distinguish these two very different things. Companies that work with content as a marketing tool need to decide how and where they should invest their funds in order to be the most efficient and effective to generate desired results. Content production is the hands-on creation of informative or entertaining media that seeks to engage an audience’s attention. It is the first phase that implies the broader and more inclusive, content marketing. Content marketing, on the other hand, is the distribution of this content as a means of increasing its visibility, reach, and audience engagement. Another way of putting it is to say that content production is the equivalent of you writing a well-researched article on a piece of paper, while content marketing is having that article printed in a newspaper. We’ve all probably heard the saying that “Content is King.” And while this saying may be somewhat dated, its meaning is still pretty much alive and well. Content is the foundation for every type of digital form of marketing out there – be it social media, content, email, or inbound marketing. In other words, you can’t have a marketing campaign if there is no content to be had. Merely creating content and hoping for the best, will not do. 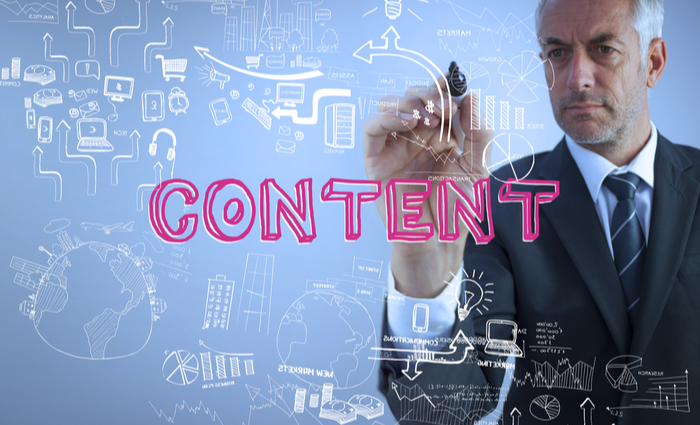 Several factors need to be taken into consideration when producing content. The first thing that you need to do when producing content is to identify its purpose. Content can have multiple uses such as being entertaining, informative, or educational, among others. Now, regardless of its meaning, your content also needs to be easily digestible for your audience and needs to be in the proper format that’s in accordance with the channel that it is being used in. In addition to the point above, you will also need to know who your target audience is before you start producing content. The whole point behind content marketing is to create an ongoing relationship with customers and prospects, which means that you need to tailor your content in accordance to your audience, and not the other way around. You will have to provide value to your content so that it will have maximum impact. It means that you will have to, first, identify what your audience pain points are, as well as their wants and needs, and produce content that’s able to address these. How-to content is a good example here, as it provides your audience with the necessary information to quickly pick up a new skill or use your products and services. Some people are under the impression that content marketing in itself includes the creation or production of the content. Truthfully, this is not the case. As shown above, content production is an integral part of content marketing, as a whole, and neither of them can be standalone features. Content marketing cannot work with no content, nor can it work effectively with poorly or uninspired and uninformed material. Likewise, good content production cannot be achieved without understanding your audience and without the proper market research – both of which being aspects of content marketing. In conclusion, content production and content marketing are two separate sciences and skill sets. People who produce content don’t necessarily know how to market it. Those that know how to market it, in most cases don’t possess the skills to produce it. Together, they create a constantly-improving feedback cycle in which you create content, market it, gain new insights from and about your audience, and start the cycle again with improved data. Want to learn more? Talk to a professional Content Monsta!